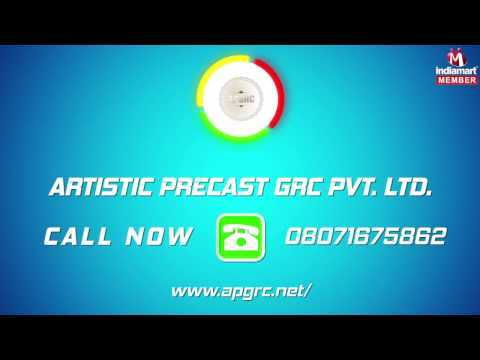 Artistic Precast GRC Pvt. Ltd. is the prestigious company in the industry that was established in the year 2012, at Jaipur in Rajasthan, India. We are basically the Private Limited company that has been manufacturer, trader and service provider of GRC Jali, GRC Planter, FRP Planter, GRC Sculpture, GRC Jali Installation Service etc. We procure material from our certified vendors and use it in the production process of our products with advance technology and under the supervision of our experienced operational heads. Our products are basically the agricultural based goods that we manufactured according to the requirements of the customers and comfort zone of the user. Other than this, our products are the right choice of our clients due to their high reliability, sturdy construction, user friendly nature, optimum quality, flexible design and many other features. Also, the excellent performance of our products makes them appreciable among the customers.